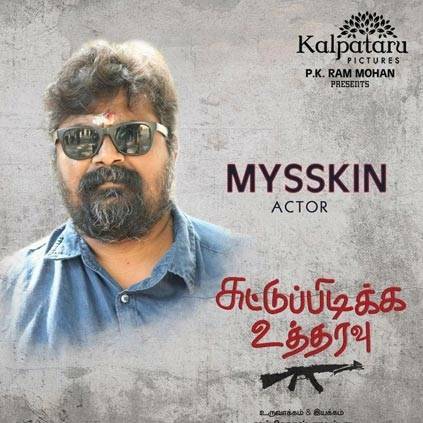 IMPORTANT ANNOUNCEMENT ON MYSSKIN'S NEXT IS HERE!!! Tamizhukku En Ondrai Azhuthavum fame director Ramprakash Rayappa is directing his next film Suttu Pidikka Uththaravu starring directors Mysskin, Suseenthiran, Vikranth and Athulya Ravi in lead roles. Now, the official announcement regarding the first look release date of this intense action drama is out. "Hi friends...First look poster of #suttupidikkautharavu will be released on 19th july @vikranth_offl @dir_susee @JxBe @sujithsarang" - Director Ramprakash Rayappa. People looking for online information on Athulya Ravi, Mysskin, Ram Prakash Rayappa, Suttu Pidikka Utharavu will find this news story useful.